The BC series scales include the latest technology, and are a drop-in replacement for the legendary PS scale. They offer the same ruggedness, reliability, and ease of operation. BC scales’ advanced electronics and graphical display allows greater flexibility and enhanced performance. The New Industry Standard The BC series scales include the latest technology, and are a drop-in replacement for the legendary PS scale. They offer the same ruggedness, reliability, and ease of operation. BC scales’ advanced electronics and graphical display allows greater flexibility and enhanced performance. Designed to work flawlessly with major shipping and manifesting software, the BC scale is the ideal choice for parcel and shipping stores, post offices, carrier retail counters, corporate mail rooms and warehouse packing and shipping stations. With a heavy-duty metal frame and stainless steel platter, BC scales provide years of trouble-free use. The BC scale is designed to handle overloads of 5 times its rated capacity, for superior resistance against rough handling of your heaviest packages. BC scales come in a range of sizes and capacities to fit your application and budget. A selection of roller and ball top platters provide better workflow to increase efficiency. Remote display accessories make it easy to see displayed weight in any setting. Bluetooth and Ethernet options allow for flexibility in warehouse use. The BC-6L Parcel Scale is a member of the BC Scale Family. With its 150lb capacity and rugged design, it is an economical choice for todays parcel shipper. It connects easily to a PC via RS-232 or USB, and is compatible with all Shipping Manifest Software and Mailing applications. The Keyboard wedge functionality allows simple communication with any unsupported software applications. Both USB and RS-232 cables are included. Options for Ethernet or Bluetooth are also available. The BC-6L is NTEP certified so it can be legally used in commercial applications. 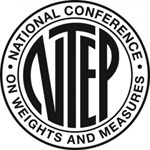 The National Type Evaluation Program (NTEP) impose rigorous standards that ensure the high accuracy and reliability of the scales that bear their mark. The BC-6L is available in a higher-accuracy pound/ounce version or a fractional pound version. The BC-15 Parcel Scale is a member of the BC Scale Family. With its 30lb/15kg capacity and rugged design, it is an economical choice for todays parcel shipper. It connects easily to a PC via RS-232 or USB, and is compatible with all Shipping Manifest Software and Mailing applications. The Keyboard wedge functionality allows simple communication with any unsupported software applications. Both USB and RS-232 cables are included. Options for Ethernet or Bluetooth are also available. The BC-15 is NTEP / Metrology Canada / OIML / EC certified so it can be legally used in commercial applications. The National Type Evaluation Program (NTEP) and other approval programs impose rigorous standards that ensure the high accuracy and reliability of the scales that bear their mark. The BC-15 is available in a fractional pound or a higher-accuracy pound/ounce version. The BC-30 Parcel Scale is a member of the BC Scale Family. With its 70lb/30kg capacity and rugged design, it is an economical choice for todays parcel shipper. It connects easily to a PC via RS-232 or USB, and is compatible with all Shipping Manifest Software and Mailing applications. The Keyboard wedge functionality allows simple communication with any unsupported software applications. Both USB and RS-232 cables are included. Options for Ethernet or Bluetooth are also available. The BC-30 is NTEP / Metrology Canada / OIML / EC certified so it can be legally used in commercial applications. The National Type Evaluation Program (NTEP) and other approval programs impose rigorous standards that ensure the high accuracy and reliability of the scales that bear their mark. The BC-30 is available in a fractional pound or a higher-accuracy pound/ounce version. The BC-60 Parcel Scale is a member of the BC Scale Family. With its 150lb/60kg capacity and rugged design, it is an economical choice for todays parcel shipper. It connects easily to a PC via RS-232 or USB, and is compatible with all Shipping Manifest Software and Mailing applications. The Keyboard wedge functionality allows simple communication with any unsupported software applications. Both USB and RS-232 cables are included. Options for Ethernet or Bluetooth are also available. The BC-60 is NTEP / Metrology Canada / OIML / EC certified so it can be legally used in commercial applications. The National Type Evaluation Program (NTEP) and other approval programs impose rigorous standards that ensure the high accuracy and reliability of the scales that bear their mark. The BC-60 is available in pound (lb) or kilogram (kg) version. The BC-150 Parcel Scale is a member of the BC Scale Family. With its 300lb/150kg capacity and rugged design, it is an economical choice for todays parcel shipper. It connects easily to a PC via RS-232 or USB, and is compatible with all Shipping Manifest Software and Mailing applications. The Keyboard wedge functionality allows simple communication with any unsupported software applications. Both USB and RS-232 cables are included. Options for Ethernet or Bluetooth are also available. The BC 150 is NTEP / Metrology Canada / OIML / EC certified so it can be legally used in commercial applications. The National Type Evaluation Program (NTEP) and other approval programs impose rigorous standards that ensure the high accuracy and reliability of the scales that bear their mark. The BC 150 is available in a pound (lb) or kilogram (kg) version. METTLER TOLEDOs patented GEOCAL calibration feature eliminates the cost of having the scale site-calibrated. Competitive offerings require certified technicians to calibrate their scale on-site. By compensating for local gravitational differences, GEOCAL ensures that the sensitive factory calibration is maintained. The BC Scales feature a large, adjustable, easy-to-read graphical display with an intuitive interface. Step-up to METTLER TOLEDO quality and rely on the world’s leading scale manufacturer for your critical business shipping and mailing needs. Options for Alibi Memory, Ethernet communication or Bluetooth wireless communication. Meets or exceeds USA NIST HB-44, EC and international OIML requirements for a 3000 division, Class III parcel scale.